Alström Syndrome has similar characteristics to another rare condition called Laurence-Moon-Bardet-Biedl Syndrome. Important differences between the two were first discovered by Carl Henry Alström and his three associates B. Hallgren, IB Nilsson and H Asander in 1946; further detailed investigations on three patients formed the basis of a very thorough manuscript in 1959. The manuscript detailed the apparently recessive hereditary combination of retinal degeneration, obesity, sensorineural hearing loss and diabetes found in Alström. The new syndrome was known for a short time as the Alström-Hallgren syndrome, but later was designated simply Alström Syndrome. 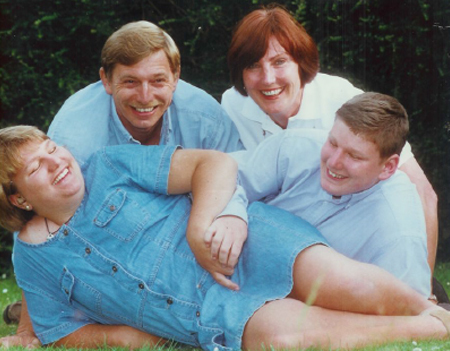 Alström Syndrome UK (ASUK) was founded in 1998 when at this time no information was available. Kay and John Parkinson started the charity after their two children Matthew and Charlotte were diagnosed with this ultra-rare condition. The gene causing this devastating condition was discovered in 2001 by scientists working at the Jackson Laboratory in Maine USA and by scientists at Southampton University Hospital, Southampton UK. Today there is greater awareness of the medical problems that Alström Syndrome can cause and genetic testing for the gene can aid earlier diagnosis. Preventative treatments combined with diet and exercise may slow down the progression of the disease. ASUK has grown from strength to strength, now offering NHS medical screening clinics, research opportunities and personalised family support. If you or your child has been diagnosed with Alström Syndrome, ASUK is here to offer you information and support and access to medical professionals experienced in the disease. Together we can all help to gain further understanding about this complex condition.